After a great cooperation from day one Innovation Lift Scandinavia AB welcomes the company WeldCut AB, who has started to move in under the same roof as us. WeldCut AB will be our number one supplier (partner) of ingoing steel material to our first class platform lifts. 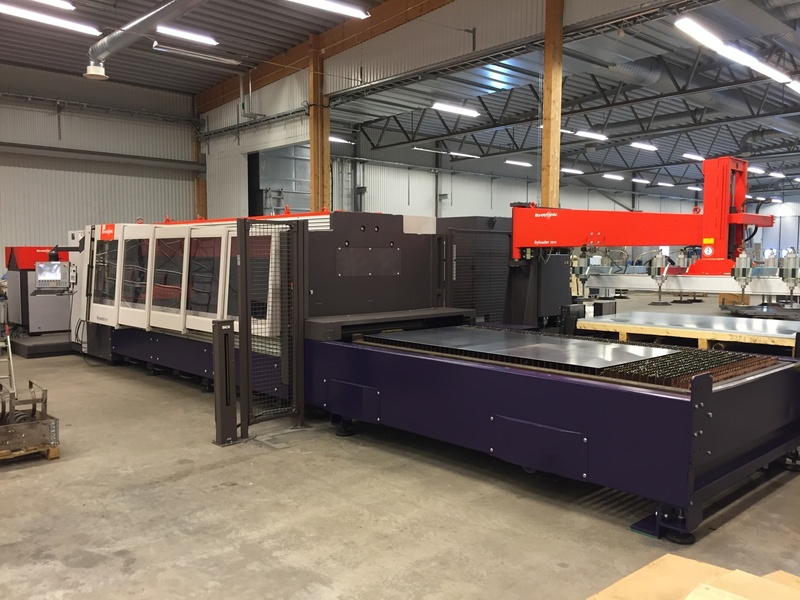 The first machine in for WeldCut´s investment in Degerfors was a 200 tons bending machine from Weinbrenner, installed and in production April this year. And now, machine number 2 is installed, it’s a Laser Cutting machine from Bystronic, Byspeed 3015. This will be a fantastic start for WeldCut here in Degerfors and in their investment for growth. But it’s also important for Innovation Lift Scandinavia AB with a partner like WeldCut for quick and reliable deliveries with highest quality, as we are under a fantastic increase of orders and new customers.